Poker has overstepped the boundaries of a casino table game long ago, and it has since become a prestigious status symbol in the gambling world. With the appearance of online poker rooms, you’ve got the opportunity to sit at the same poker table and compete for the pot with opponents from the other side of the world. The popularity of this classic casino game—now made accessible from your living room—probably started you thinking (out of the box). So, it really wouldn’t be a surprise if you decided to turn your next vacation into an ultimate poker trip. We are here to present you some of the most attractive poker destinations worldwide. Poker has become a lucrative business ever since the first poker room opened in some casino in Nevada. Nowadays it is a billion dollars industry holding its world championship, World Series of Poker, as well as the European Poker Tour and other equally respectable poker tournaments. These poker playing events have attracted many poker lovers who intentionally plan their holidays so that they can follow through these exciting poker events. These are 12 inevitable poker destinations for all those who enjoy playing or just watching the gameplay and soaking in the vibe at the poker tables. 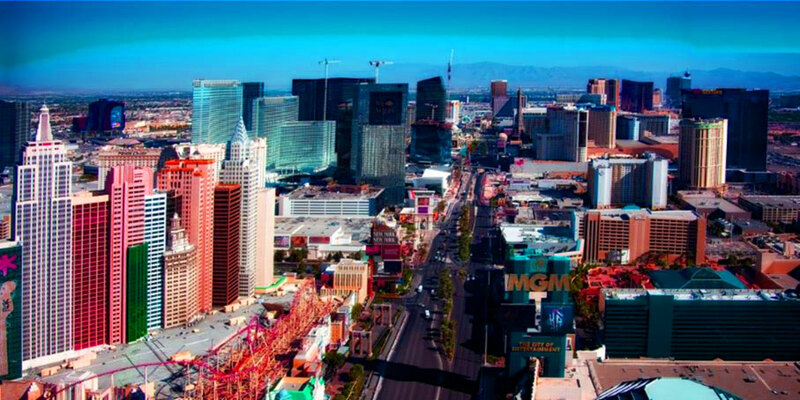 There is no other place on this planet you would rather call a Gambling Capital of the world than Las Vegas. In essence, it has always been a dream come true for poker players who want to try their luck at gambling. But Las Vegas has become so much more ever since. This city that rose from the desert has provided a safe haven for poker players wanting to escape the grim prospects of everyday life and enjoy themselves in one of the flashy and over-the-top Vegas resorts. The famous Vegas Strip is the home of the best-known world casinos that can offer different poker tables and poker rooms that fit everyone’s budget. If you’re lucky enough to have an unlimited gambling budget while you want to indulge yourself and enjoy all the luxury a top Vegas resort has to offer, check into Bellagio. You will soon find numerous other things Bellagio has to offer besides gambling once you leave their high-stakes poker table. For students on spring break, who just want to have fun Vegas style, there are numerous low stakes $2 to $4 poker tables at the MGM and Mandalay Bay. We can not leave Nevada without mentioning the “biggest little city in the world”. Poker players love Reno because it is not as flashy nor expensive as Vegas but it can still provide an unforgettable gambling experience to its visitors. You can try your luck in some of Reno’s luxurious casinos and hotels. This is not only a perfect place for gamblers who have more modest bankrolls, it can be also an ideal holiday spot for the whole family because of the wonderful nature surrounding it, making it a perfect spot for numerous outdoor activities. The City of Angels is a dream holiday destination for millions of people worldwide. While it is pretty obvious that the first thing on your must-see list will be Hollywood, followed by Rodeo Drive, you should definitely make some time and visit the Commerce Casino. This casino stands for the largest poker playing casino in the world. Here you will find one low stake poker room that consists of more than 100 poker tables. If you want to play it loose there is another poker room for high rollers that can seat up to 800 players in a single poker tournament. I will end this North American tour of most attractive places for playing poker with the New Jersey’s gambling gem — Atlantic City. This popular gambling spot is just an hour away from New York; so if you want to play some poker for money, you should include a stop to Atlantic City when you go on to visit the Big Apple. Hotels and casinos like the Trump Plaza or Trump’s Taj Mahal will provide you with the opportunity to gamble 24/7. For those who prefer traveling and gambling around Europe rather than America here are some European poker-playing hot spots. The prestigious capital of Monaco, one of the centers of luxury and wealth can offer different casinos to the members of the international elite who want to spend some time and money at poker tables. Monte Carlo is the host of the wealthiest poker tournament in the EPT (European Poker Tour). No matter how ardent a lover of this poker event you are, skip this one if you can not splurge your money around. However if you can afford a visit to this European center of luxury, come and spend a few days in Monte Carlo to get that “Grand Casino” vibe. If you go to Monte Carlo and fall in love with the Mediterranian just follow the coastline until you get to San Remo, Italy. You may have heard of this Italian city already because it hosts a well-known music festival. Apart from that, it is also an important stop of the EPT; here the stakes aren’t as high as in Monaco. If you are searching for lucrative cash games that suit your bankroll, you will certainly find some of those in the Casino San Remo on a daily, or weekly basis. Barcelona is yet another spectacular European city offering a top-notch cultural experience. Once you go there you will be mesmerized by its beauty depicted in Gaudi’s architecture, the southern warmth and hospitality, and their state-run Casino de Barcelona. European Poker Tour visits Barcelona in August so hurry up and reserve your seat at this prestigious poker tournament because the waiting lists are endless. 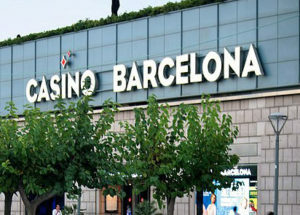 You don’t have to wait for the EPT though if you are heading for Barcelona now, but be sure to put the Casino de Barcelona on your must-visit list. We are leaving the sunny part of Europe to showcase Dublin — one of the major poker playing spots in that part of the world. Numerous poker players gather in Dublin to take part in a lucrative poker competition called the European Deep Stack championship, reserved for the seasoned high rollers. You will need a hefty $1.500 just to get a seat at this event while big blinds here start from an incredible $1000. When you chip in you will get $50000 in chips, and then you are ready to roll and enjoy playing the highest level poker with other casino sharks. If it so happens that you drop out early, there are other poker events you can join in for $200. If you are a true wanderlust and adventurer who likes playing poker, exotic destinations are the place for you. This is the Eastern version of Las Vegas. Macau has a long-lasting gambling history and it is one of the most visited places in China. Consequently, they made lots of room for poker in their casinos a few years back. So, if you don’t mind traveling for hours to visit the buzzing gambling capital of the East, start packing. As we all know, Australians were the first gambling nation in the world. So, it is only logical that Melbourn is the host of two largest online poker tournaments the “Aussie Millions” in January and “Poker News Cup” in October. To put it in a nutshell, if you are a poker player you will surely visit one of these huge events in Melbourn whenever you decide to go. You’ve always dreamed of having a Heavenly holiday in the Bahamas? Why not earn some money at a poker table in the process? If so, be sure to visit Paradise Island. Every January they hold a lucrative online poker tournament there, “Poker Stars Caribbean Adventure”. If you are lucky enough, you can actually win your airplane ticket and an exclusive invitation to this exciting online poker event. You can take the whole family with you because there are numerous fun activities they can do while you are at the poker table. Costa Rica is free territory for gamblers. This fact attracts numerous US poker players to this exotic place every year. 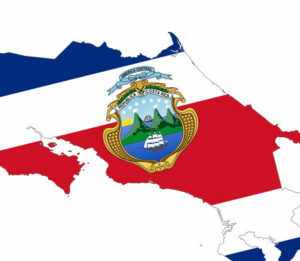 Costa Rica is one of the stops during the Latin America Poker Tour. This tournament offers an amazing prize of over $1 million, with an entrance fee of $3500. So if you want a chance to win big by playing poker, while you enjoy the magical tropical surroundings, head out to Costa Rica. Here it is, as promised, a list of top 12 destinations for poker players worldwide. All of these places offer an unforgettable poker playing experience. So pick your favorite, pack your bags and hit the road.